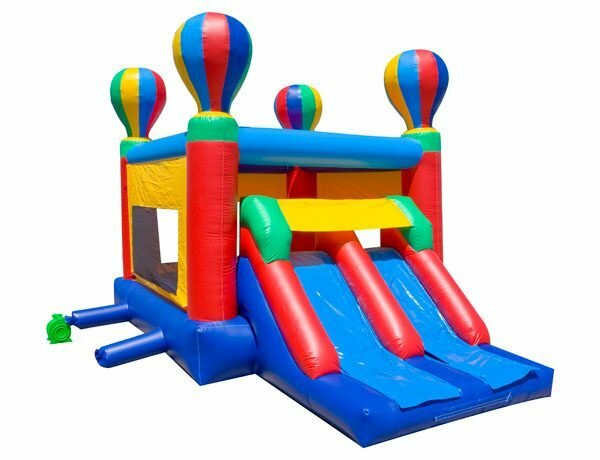 This is the Hot Air Balloon dry bouncer that features a double lane slide with basketball goal (we don't bring the ball). Perfect for those kids who like to have options. The top of the slide 6ft tall. The kids can enjoy the bounce house and shoot some hoops, or have races through the bumpers inside and then onto the double lane slides!